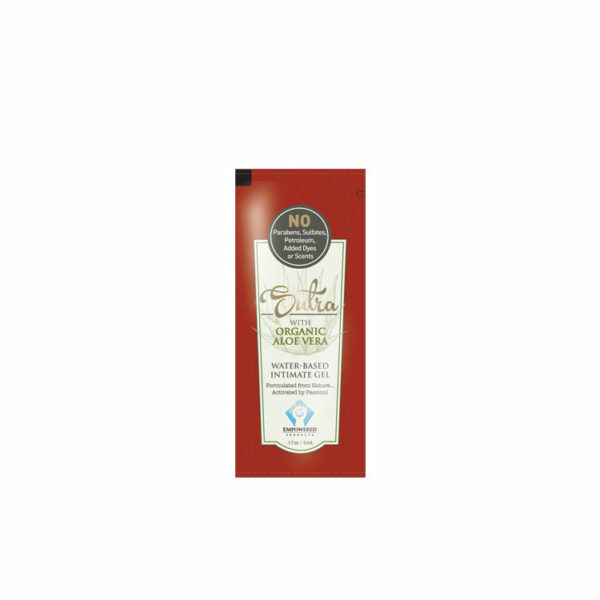 Our new Sutra CBD water-based sensual lubricant has the same natural food-based ingredients as our original Sutra with the addition of pure CBD (Cannabidiol) oil extract for increased comfort during intercouse, menopause, and for the management of pain and inflammation through CBD-rich massage. Our CBD is a non-psychoactive therapeutic agent, certified for purity with verification by accredited independent lab testing. Receive a free travel size sachet of Sutra CBD + win a free 2.8oz bottle! 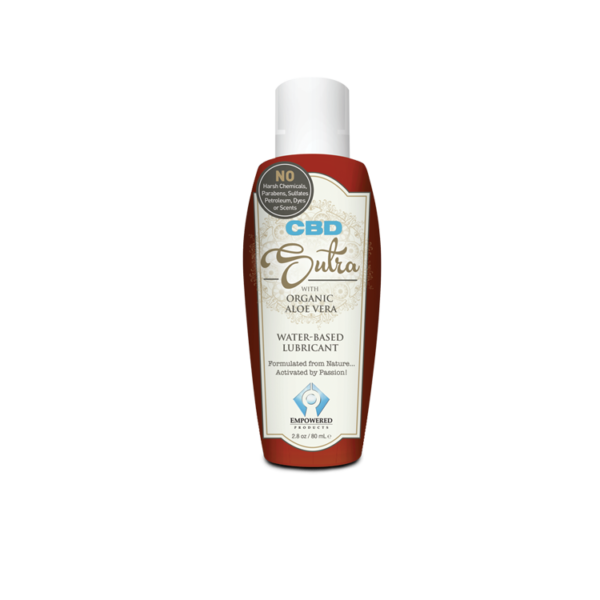 Our new Sutra CBD water-based sensual lubricant has the same natural food-based ingredients as our original Sutra with the addition of pure CBD (Cannabidiol) oil extract for increased comfort during intercouse, menopause, and for the management of pain and inflammation through CBD-rich massage. Our CBD is a non-psychoactive therapeutic agent, certified for purity with verification by accredited independent lab testing. Because our Sutra CBD formula contains a powerful medicinal concentrate of Cannabadiol, you will sense a comforting grassy aroma upon application that will dissipate in a few moments. We are proud to offer this health-empowering innovation in a personal lubricant. And we offer all our customers Essential Guidance to maximizing the benefits of CBD throughout your personal wellness.